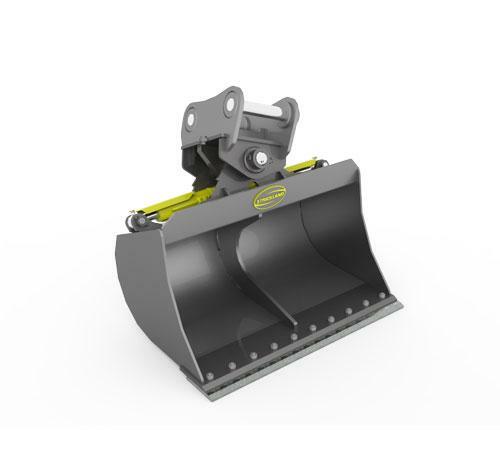 Designed to increase the adaptability and productivity of your excavator by offering the ability to tilt the integrated grading bucket 45 degrees in either direction when sloping, trenching, grading, or ditch cleaning. Control is fast and positive so you get the right slope on the first cut. Spill guard and bolt on edge as standard equipment. High-strength, greaseable pivot pins and replaceable pivot bushings.